Many species of coral are facing an uncertain future depending on how drastically ocean conditions change in the coming decades. There are some species that have already been hit with very large population declines over the past 30-40 years. A combination of coral bleaching and disease have led to the collapse of Elkhorn Coral (Acropora palmata), Staghorn Coral (Acropora cervicornis), Pillar Coral (Dendrogyra cylindrus), and Mountainous Star Coral (Orbicella faveolata) in much of the Caribbean, and most notably the Florida Reef Tract. Elkhorn Coral recruit (baby coral) settled on a plug at the Mote Marine Laboratory. Elkhorn (Acropora palmata) and Staghorn Coral (Acropora cervicornis) are two closely related species that at one time dominated much of the Florida Reef Tract and the Caribbean. Declines in both species were first recorded during the late 1970's and early 1980's. Coral bleaching, poor water quality, cold snaps, hurricanes, and the mass die off of the long-spined sea urchin are a few stressors that led to their decline. Cold snaps and hurricanes are natural disturbances, which reefs have the ability to recover from, but when you add other stressors such as increased nutrient and sediment runoff from developed coastlines, reefs have a tougher time bouncing back to a healthy state. Nutrient and sediment runoff can lead to increased algae growth. Accompany this with a widespread die-off of the long-spined sea urchin, a keystone algae grazer on coral reefs, many reefs in the Caribbean were smothered in turf algae, killing much of the coral. White Band Disease (WBD) was the primary factor that led to a 95% reduction in populations of Elkhorn and Staghorn Coral in the Caribbean. WBD appears as a white band that moves across the branches of a colony causing the tissue to slough off, leaving dead skeleton behind. There is still much to learn about this disease and how it spreads. One method of spreading comes from Coralliophila abbreviata, a marine snail has been shown to be a vector for transmission of WBD disease between colonies. 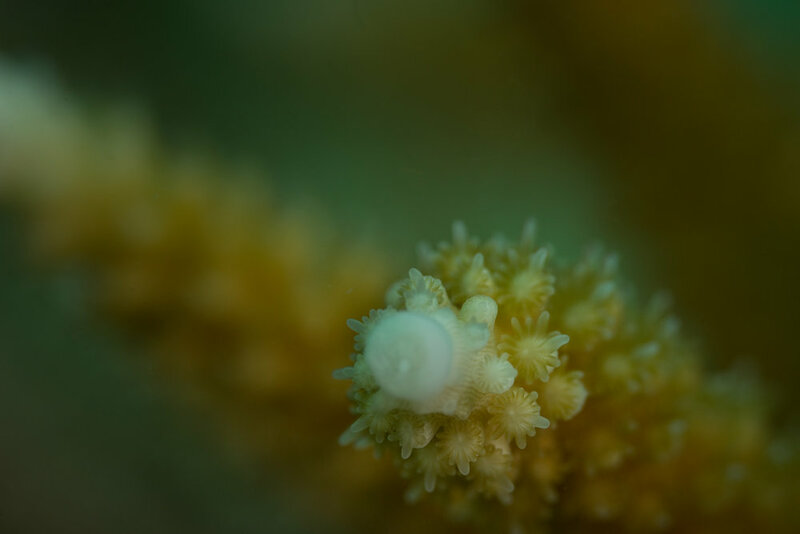 This snail feeds on coral, and by feeding on an infected colony, then moving to a non-infected colony, the snail has the possibility of spreading the disease. The declines in Elkhorn and Staghorn coral have drastically changed the way reefs in the Caribbean appear today. Where fields of Staghorn thickets stood are now mostly piles of rubble. Elkhorn, which typically occurs at the reef crest is rarely found in thick patches anymore. Both species are now listed as critically endangered on the IUCN Red List. While these two species aren't as known for adding to the robustness of a coral reef, these are key species that create habitat for many species of fish and numerous invertebrates. To relate it to a forest, these species could be compared to the understory, where there is a rich biodiversity, and the trees can be compared to the massive bouldering corals. Since these used to be the dominant coral species in the Caribbean, bringing Elkhorn and Staghorn Corals back will help replenish essential habitat for much of the seafood people rely on. Three Mountainous Star Coral fragments with three different color morphs; yellow, orange, and green/orange. Mountainous Star Coral (Orbicella faveolata) may not get the same public attention as Elkhorn and Staghorn Coral, but its significance on a coral reef is non the less prominent. Populations in certain regions of the Caribbean have declined by as much as 70-80% over the last 30 years. 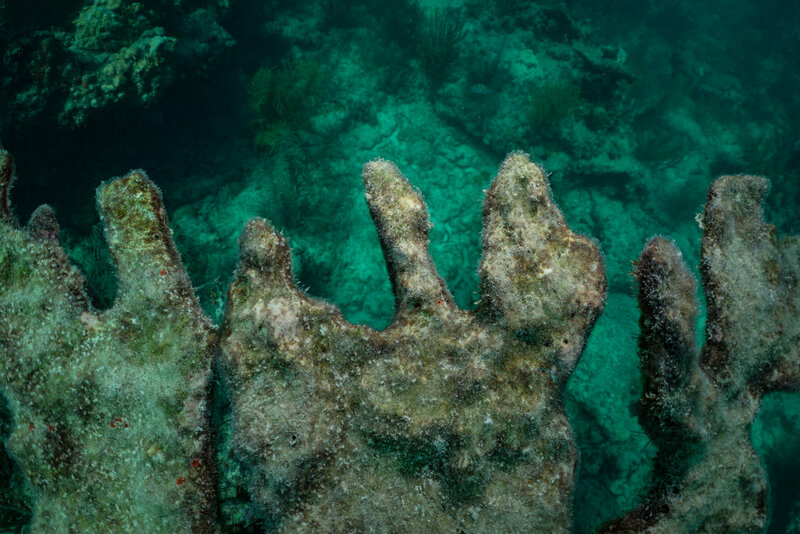 Coastal reefs in Jamaica have even seen up to a 90% reduction in populations. 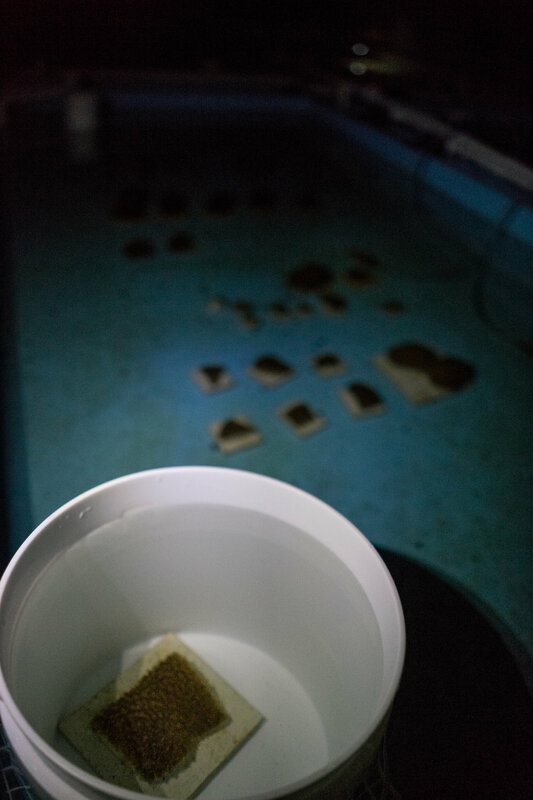 Many of the same stressors effecting the Acroporid corals are relevant for Mountainous Star Coral, with the exception that yellow band and black band disease played a significant role in mortality in Mountainous Star Coral and not Elkhorn and Staghorn Corals. Many of these disease outbreaks can be correlated with bleaching events. When corals are bleached, they're in a weakened state, making them more susceptible to infection. While Elkhorn and Staghorn Corals have fast growth rates and earlier maturation times, Mountainous Star Coral are extremely slow growing, maybe only growing a cm a year depending on conditions. Mountainous Star Coral also has low rates of fertilization, leading to low survival of recruits. The slow growth rates and poor sexual recruitment of Mountainous Star Coral makes this species unlikely to recover without comprehensive restoration efforts. Mountainous Star Coral is currently listed as endangered on the IUCN Red List. This species is considered a framework species, meaning it's extremely important in adding structure to the reef. These are the large redwood trees in a forest. 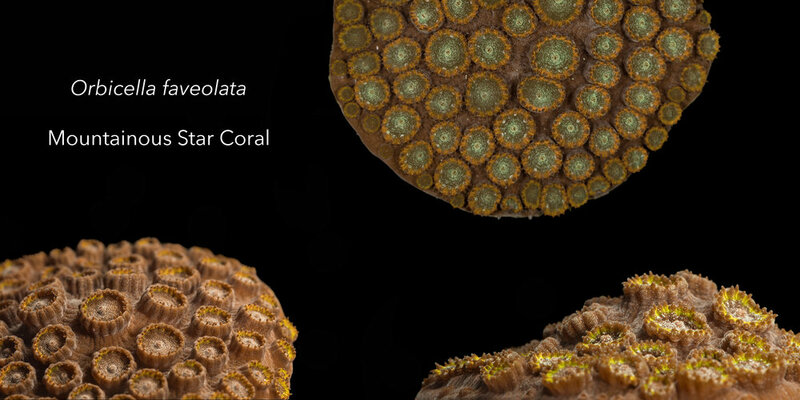 When hurricanes hit, Mountainous Star Coral is the first line of defense. These massive corals act as a barrier, breaking up wave energy from the storm before it reaches the coastline. As these corals die, their skeleton begins to erode away, reducing our natural buffer from storms. The top of a pillar showing full polyp extension. Pillar Coral is one of the few coral species, which exhibits polyp extension diurnally and nocturnally. 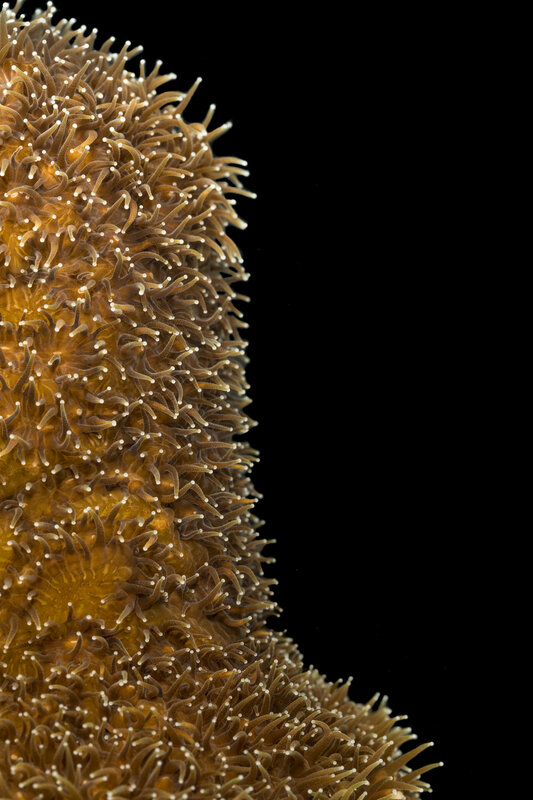 Pillar Coal (Dendrogyra cylindrus) is a unique species on Caribbean coral reefs. Being the only species belonging to the genus Dendrogyra, there really isn't much of a replacement for it's unique morphology. Pillar coral creates an encrusting mound with large skyscraper looking pillars rising into the water column. When you approach a colony underwater, it may resemble a city skyline, except all those tall buildings have little mouths and an abundance of swaying tentacles. Colonies have been documented with pillars reaching as high as 3 meters. While hurricanes, algae blooms, and poor water quality are some of the many stressors Pillar Coral faces, coral bleaching and more notably disease are the two primary drivers of this species decline. Coral diseases can be difficult to identify, but it appears that white plague is the dominant cause of mortality amongst Pillar Coral. There are multiple types of white plague, resulting in tissue loss ranging from a few millimeters to an inch a day depending on which type of white plague is present. The Florida Reef Tract (FRT) populations of Pillar Coral have been especially decimated. Over the past five years, Dr. Karen Neely has been conducting monitoring assessments of Pillar Coral health and populations on the FRT. After the most recent survey, it has been concluded that only 66 sites remain where live Pillar Coral has been documented. This represents a 53% decline in genotypes that are now extinct. On the Northern end of the FRT, nearly all known colonies are now dead. Dr. Neely notes that Pillar Coral is likely reproductively extinct on the FRT, meaning that while there are living colonies, they're spaced so far apart that the chances of fertilization and settlement occurring is practically zero. Two Elkhorn Corals (Acropora palmata) settled on a plug at the Mote Marine Laboratory. 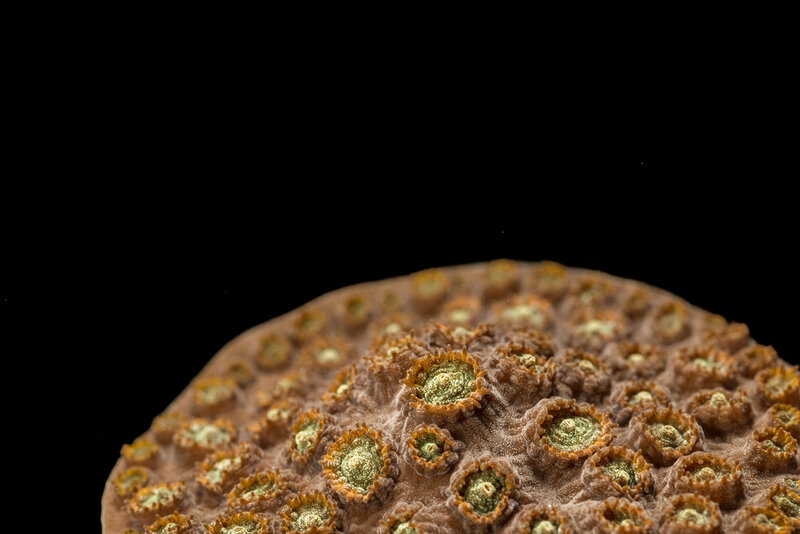 At this young stage they only have a few visible polyps. Microfragmentation has proved to be an effective tool at increasing the total tissue mass of a given species of coral. However, microfragmentation doesn't help create new genetic material until fragments fuse back together and begin spawning. Sexual coral reproduction is heavily researched, and for many species, we now know the moment they will spawn almost to the hour. Elkhorn, Staghorn, Mountainous Star Coral, and Pillar Coral are all broadcast spawners, meaning they release massive amounts of bundles of eggs and sperm into the water column at the same time once a year. These synchronous spawning events gives the highest chance for fertilization to occur. Since these three species have all gone through dramatic population declines, they've shown much lower yields in successful fertilization in the wild. 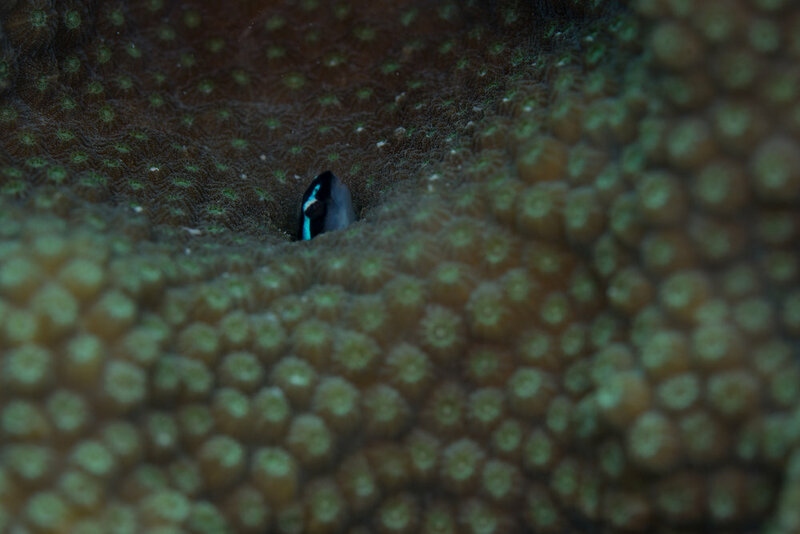 Imagine one coral colony releasing sperm, but the closest female colony releasing eggs is hundreds of feet away, the chances of their gametes the size of a pin tip joining up and fertilizing is extremely low. 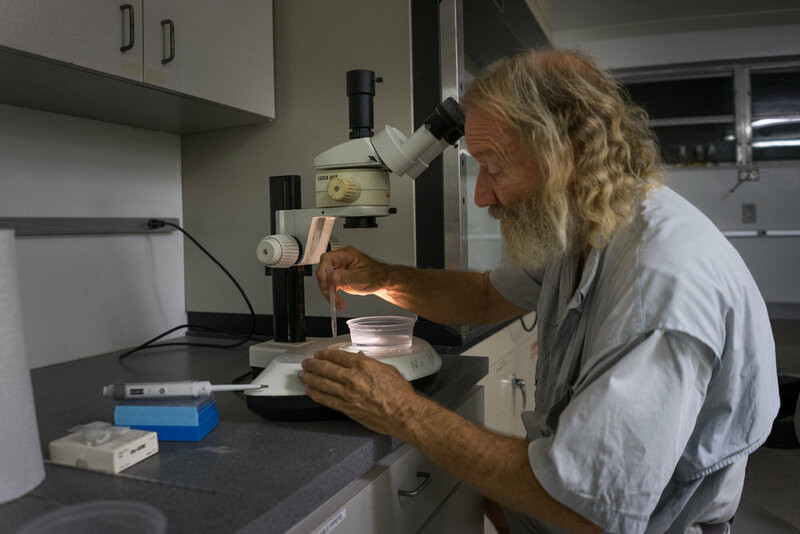 At the Mote Marine Laboratory, researchers are working with bringing wild gametes into the laboratory and mixing them in smaller volumes of water, giving the sperm and eggs more chances to come in contact. This process has shown to greatly increase the numbers of settled recruits than what would occur in the wild. Each new genotype represents a new generation that could possibly be more tolerant of disease, bleaching, and other stressors. As new coral recruits grow, they are then able to be fragmented. As methods improve, this could cause an exponentially increasing amount of new genotypes, and coral tissue available for restoration efforts. With the latest scientific advancements, even species with massive population declines have a fighting chance.